Using video games in classroom has always been a controversial and hotly debated issue. Most traditionalists have always felt skeptical abot this educational approach. However, there are also some educationalists who believe videogaming in classrooms can help kids to enhance their power of simulation and express better their natural skills. This will help kids to adopt faster in a new environment and improve their learning capabilities. If you are a parent who believes videogaming can help your kids to learn faster and better, then the Leapfrog Didj is something you probably can introduce to your kids. 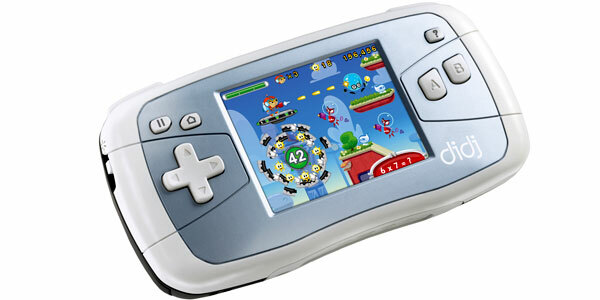 Leapfrog Didj is a handheld game designed particularly for kids. This handheld game machine allows your kids to play action shoot’em-ups and learn languages, spelling and mathematics at the same time. Targeted at kids ranging from 6 to 10 years, Leapfrog Didj is about the size of the Nintendo DS. It has 10 software titles featuring characters from famous movies and comics such as Indiana Jones, Star Wars, SpongeBob SquarePants, Super Chicks, etc. Kids are allowed to customize their characters, backgrounds, animation and music. While playing the games, some brief interludes which require kids to answer some simple math and spelling questions will appear. Kids need to answer these questions in order to proceed with the games. The answers and performance by the kids will be recorded and parents can thence monitor their kids’ result or progress. The Leapfrog Didj also allows parents to synchronize suitable games to the skills their child are studying in school. Parents can customize the questions in accordance to what their child is studying in school via a Leapfrog’s online system called Learning Path. The LeapFrog costs around $90 and it has two colour schemes: grey and pink. It is quite a brilliant idea which allows kids to play and learn together. However, proper guidance from parents is very important. Parents need to guide their kids and highlight to them the importance of the learning. Failing which, the kids might just treat it as a game machine and simply ignore the questions.